The team behind London’s Black Rock bar have launched a new whisky subscription service, delivering pouches of single malts to members’ homes. Whisky-Me is a monthly delivery service designed to simplify and contemporise whisky exploration, in keeping with the London bar’s ethos. 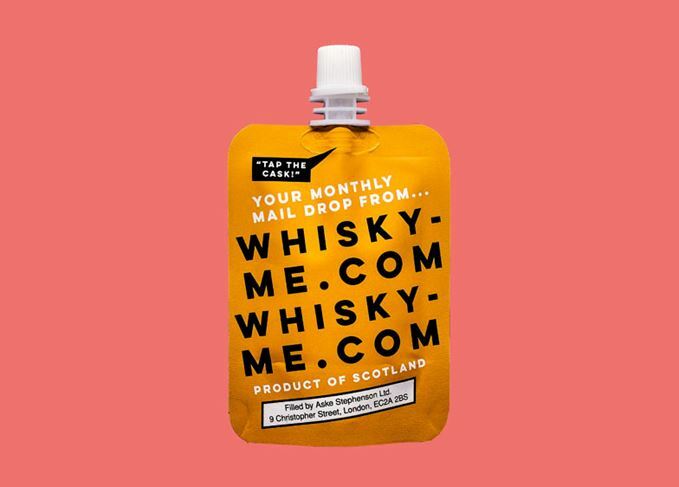 Each month subscribers will be sent a 5cl pouch of single malt whisky, chosen by Black Rock founders Tom Aske and Tristan Stephenson for their rarity and exclusivity. The drams dropping through letterboxes each month will be a surprise, but subscribers can expect to receive pouches containing the likes of Aberfeldy, Macallan and Royal Lochnagar. Subscription options start at £7.95 per month on a rolling basis, or £84 for a year (£7 a month). In addition to receiving a monthly dram, subscribers will be provided with simple, easy to follow descriptions of their whisky, as well as exclusive drone footage of the distillery it’s from. In time, members will be rewarded with benefits including single cask ‘bottlings’, and exclusive gifts when Whisky-Me’s community of subscribers reaches major milestones. Aske and Stephenson said in a statement: ‘With so many brands, bottles and expressions to choose from, the diversity of whisky can make it an intimidating experience for those discovering it for the first time and an expensive hobby for connoisseurs.